A former supervisor at an Oakland rescue center was under investigation Tuesday for possibly mistreating the animals under her care, according to a city official. 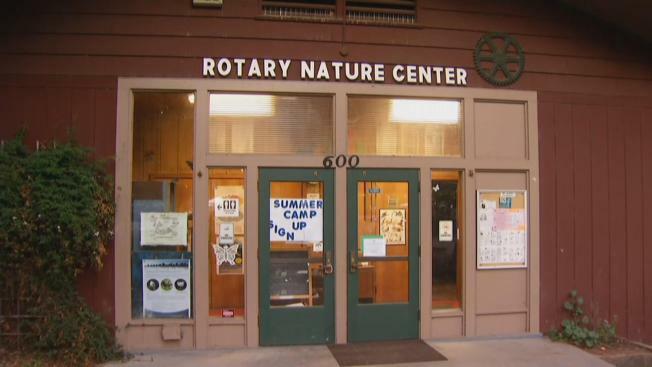 The Rotary Nature Center on Lake Merritt is no longer home to 13 rescue animals after they had to be rescued themselves from mistreatment, a source told NBC Bay Area. The animals were in terrible shape, the source said, but the former supervisor, Stephanie Benavidez, swears she's done nothing wrong. The 13 animals include seven reptiles, two guinea pigs, three birds and a mouse. One of the reptiles is a 62-year-old California desert tortoise named Anthony. One source said the animals were starving, some forced into cramped spaces, sitting in their own feces. They also said the center has been the focus of at least two previous investigations. Peter Takeuchi, of Oakland, is a frequent visitor to the center with his grandchildren. He said he's not surprised. "Unfortunately, they all died off," he said. "Within the last six months, the snake went then the spider went." Benavidez, who is under investigation by Animal Control authorities, said she would never mistreat the animals at the center where she's worked for more than 40 years. "I love my animals, and my animals are taken care of," she said. "I put my life on that." Benavidez, who is homeless, said she first came to the city's attention for living in a city van without permission. A city spokesperson confirmed the investigation and said personnel issues are being addressed. The spokesperson said they are looking at reprogramming the facility to make it more accessible to the public.